5W Public Relations, one of the 10 largest independently owned PR firms in the US, has been named PR Agency of Record for Influential, a leading AI influencer technology, Social Intelligence firm and IBM Watson Developer Partner. 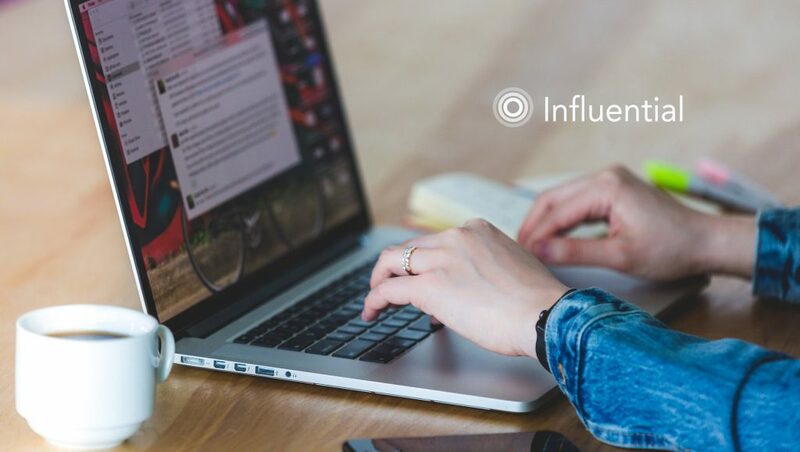 Influential is the only digital marketing platform backed by IBM Watson, helping clients to connect and leverage relationships with the best social media influencers for its brand. In just 6 months, 5W has positioned Influential as a major player in the crowded digital marketing space by leveraging strategic media opportunities to get the company in front of key influencers and decision makers within the advertising and influencer industry at large. Thus far, the team has placed Founder and CEO Ryan Detert into exclusive features in CNN, Wired, CNBC, Adweek and Forbes on a variety of topics including the rise of CGI influencers and their effectiveness for brands, Instagram’s IGTV launch, and Snapchat’s redesign. 5W also leveraged Influential’s tent pole announcements and marquee partnerships as strategic media opportunities. In order to differentiate Influential from its competitors, 5W created a media campaign to announce Influential’s predictive Social Intelligence technology, securing tier-1 technology coverage in Business Insider, Forbes andVentureBeat. Following the success of the technology launch, 5W launched Influential’s partnership with global talent and entertainment agency, WME, with an exclusive placement in Variety to showcase Influential as a premier player at the intersection of entertainment and media. Most recently, the team created a robust media strategy around Influential’s Series B Funding announcement targeting mainstream technology, entertainment and local Los Angelesmedia. 5W used the opportunity to secure several stories around the company’s plans to use the recent capital raised as an opportunity to take Influential’s AI SaaS platform to market. As a result, 5W secured mainstream technology and entertainment coverage in TechCrunch, VentureBeat, Variety and The Wrap, a live interview segment on CheddarTV, and regional placements in LA Biz and BuiltinLA. The successful funding round, consistency in trending industry stories and innovative partnership and product capabilities all solidify Influential’s position as a category leader in the social intelligence and digital marketing industry. The company is ripe for rapid growth and will continue to increase its employee count, revenue and partnerships throughout this year.